Travel back in time and experience a pub fruit machine replicated in modern times in Thunder Reels, which is a product of Playson.This slot takes on an old school approach to gaming where players get to spin different fruits to win. It is set on 3-reels, 3-rows slot display with 5 fixed paylines. 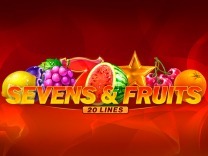 Some of the symbols prominent in this game include; oranges, grapes, stars, bar icons, a pair of 7's, and lemons.So get playing and discover the wonderful prizes hidden beneath this wonderful slot. Thunder reels is a classic game modeled after a pub game, but it offers some wonderful features which are sure to excite novice and veteran players. The slot is simple and easy to master as you are given a slot set on a 3X3 grid. 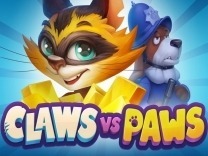 Playson, being an industry leader in casino games, has outdone itself by transforming an old school game, twisting it into a modern classic, which can be enjoyed with everyone. The slot is set on a black background with lighting highlighting the game. The graphics in this game is superb and 3 dimensional animations helping guide you through the game. Each win will set the fruits blinking from their original color to gold.The soundtrack is certainly catching, as it will keep you focused on spinning the reels. For every win, the music will stop and there will be bells ringing informing you that you have won. 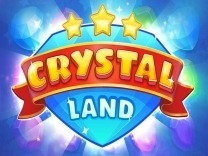 If you are looking to try out a different kind of fruit machine with features similar to a favourite pub machine game then this is the slot to try. Playson has certainly brought back memories of pub fruit machines through this slot. 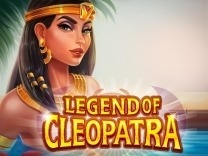 Old school slot lovers, who reminisce of playing fruit machine games, while imbibing their favourite drink will certainly like this slot. It is a classic which has been remade many a time, and by far it is the most basic game displayed on a 3x3 screen. To win, players have to match at least 3 symbols with the highest symbol represented by a pair of sevens. The lowest paying symbol being The X symbol.The minimum bet players can set for this is slot ranges from 1 to 20. Spinning the gold stars into place wins you 200 while the three bar symbols will win you 60 credits. 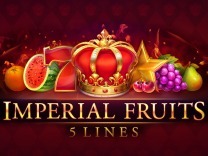 Any other fruit icon will pay you just 40 credits. This slot pays out from left to right. 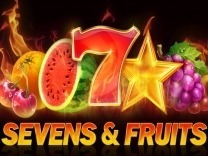 If by luck you get to fill in the entire grid with a single fruit, then your winnings are doubled, so pray that the symbols you filled the grid are the pair of 7's. The paylines winning combinations can be formed horizontally or diagonally. In Thunder Reels, you are given 5 fixed paylines, which can be won by matching three symbols. Pay out is horizontal or diagonal. 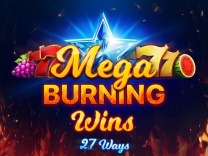 There are no free spins and bonus games in the slot, and players have to do with the basic game and an additional simple side game.The highest paying symbol is the pair of 7's which can award you 750 credits. Thunder Reels offers a rather simple bonus game which allows players to decide if they will double or lose their winnings. It is triggered each time you land a win and just as any gamble feature, you get to decide your fate by choosing the correct pick. The game is presented in such a way a player is given a couple of playing cards laid face down. The player will need to guess the correct colour, either red or black to win this game. Players can also quadruple their winnings by choosing the correct card's suit. Players are awarded ten correct guesses before the game is terminated.The downside to this gamble feature is that if you happen to guess wrongly, you forfeit your winnings and have to start from scratch. 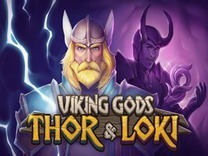 Despite its simple design, the game has a high variance. 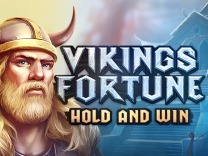 Players need to be patient while playing this slot.